Tim and I worked on the Anchor quilt on Saturday. This is a true group project. Gerre organized it. Christina did the piecing. 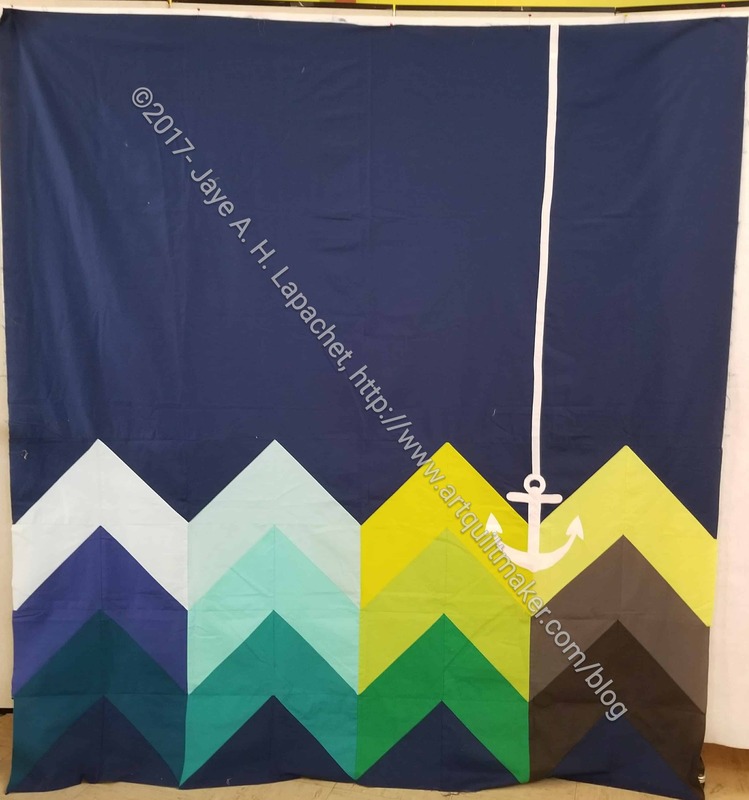 I appliqued on the anchor and Tim will do the quilting. 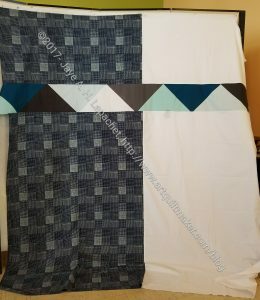 The last time I talked about this quilt was back in June and it has been languishing. Now we are back on track! Saturday, he did everything and I just stood there and helped him pin and gave my opinion. We had to work on the back a little bit. The back was two large pieces and the big area of white was bugging Tim. We talked about different things we could do and finally decided on adding a piece that Christina had started sort of 1/3 of the way down the quilt. I think it broke up the white enough for comfort. We also looked at quilting ideas. Tim had some ideas in mind and they were good. 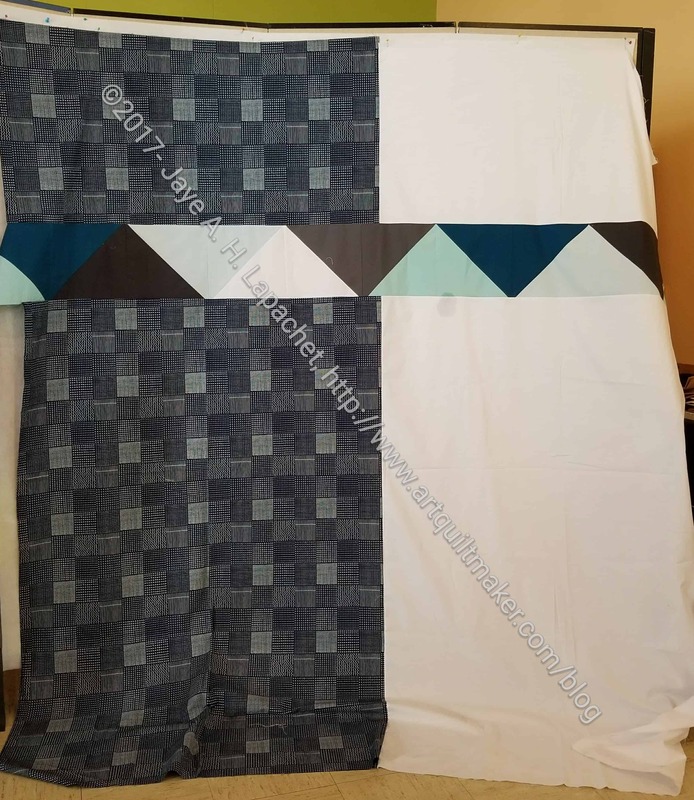 We found a couple that we thought would reflect the them and he will do the quilting soon.